But it was a hard order to follow for most of the nearly 200 companies represented. Despite the increase in the number of lending products tied to environmental, social and governance (ESG) impact criteria in recent years, sustainability-linked loans are still a relatively new concept, said Mark Tan, ING Bank’s head of commodities for food and agribusiness in Asia. There has been an uptick in such loans, nevertheless. There were some $36 billion in sustainability-linked loans in 2018, according to the credit rating agency, Moody’s. And the Asia Pacific Loan Mark Associate, a regional trade group for lenders, recently co-launched lending principles that listed, for the first time, “sustainable farming and food” as a category. “The pace of pick-up is rapid in Asia even by banks that you do not expect to be in this business,” said Nicholas Gandolfo, associate director of sustainable finance with Sustainanalytics, a global provider of environmental, social and governance (ESG) research and ratings. But it will take more than finance to radically transform food production to keep apace with population and climate change. 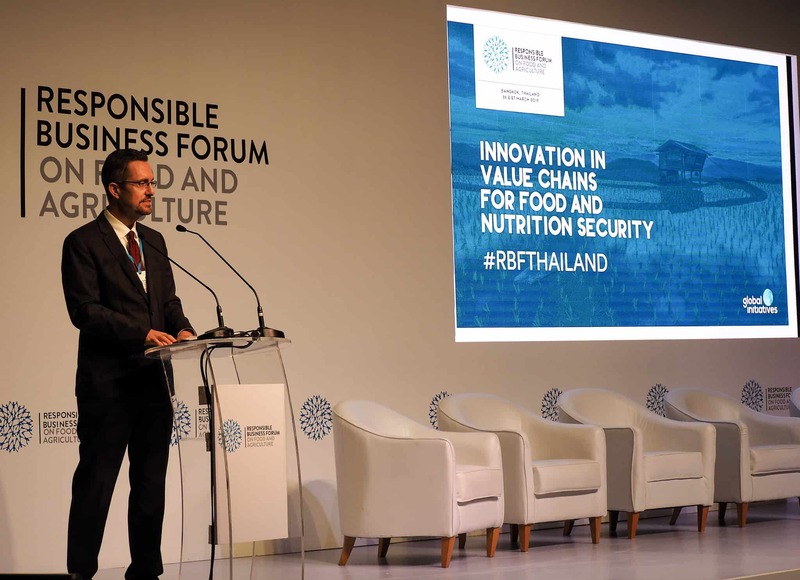 “The sheer magnitude of challenges [to food security and supply] makes it hard to respond cogently,” said Kundhavi Kadiresan, the UN Food and Agricultural Organization (FAO) representative for Asia. FAO is part of a non-profit consortium that created the Sustainable Rice Landscapes Initiative to increase rice climate-smart farming techniques and investments in Asia. The U.S. Agency for International Development’s (USAID) Regional Development Mission for Asia deputy director, Jeffrey Spence, shared how the U.S. Government has helped de-risk land investments in the region, including launching USAID Green Invest Asia in late 2017 to connect sustainable agribusiness and forestry companies in Southeast Asia with green finance. A carbon assessment USAID Green Invest Asia conducted for a natural rubber plantation in Indonesia helped attract almost $24 million in investment last month. Are women the sustainability champions we urgently need?